Seen any good books lately? Every writer dreams of having their book picked up by a Hollywood studio and eventually seeing their baby come to life on the big screen—or as we’re seeing more and more these days, appearing on the wide screens in our living rooms. James Patterson’s Zoo will soon join another newcomer, Blake Crouch’s Wayward Pines trilogy. Of course, the odds of that happening for most writers are about the same as winning the Powerball lottery. But many bestsellers find their way to screens large and small each year with results ranging from awesome to head-scratching confusion. 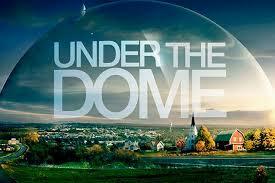 I started thinking about this when CBS blasted us with a battery of promos for season 3 of Under the Dome. As a Stephen King fan I anxiously awaited the premiere of the first season and became hooked by the strange story of Chester’s Mill’s internal struggles to survive the turbulence caused by the mysterious dome, which turned the town into an artificial pressure cooker. Not having read the book, I enjoyed the various plot twists propelling the story through season one, leaving viewers hanging and wondering if the residents of Chester’s Mill would ever get out from under the dome. I guess we’re still wondering about that. Midway through season two, however, I feared the series had jumped the shark, moving the story from the mysterious to the ridiculous. That’s when I decided to read King’s original story. After only three or four chapters I saw significant differences between the literary version and the television series. That’s not at all unusual since books seldom make the transition to film or television intact, and when a single storyline is expanded to fill more than one season, then the original story can scarcely be seen, diminishing episode by episode like a distant figure in a rearview mirror. I certainly knew the difference between books and movies going in, but when I read Under the Dome and learned one of the main characters in the TV series is killed off in the first few chapters of the book, and another stumbles around with a growing brain tumor for much of the book before being killed, I just couldn’t keep watching the show and set my DVR free to record other programs of interest. Some of you will disagree with me, but I’m sure you’ve had your own disappointments because Hollywood has a way of dumbing down complex stories and characters to make them more accessible to mass audience tastes. That’s not to say that there haven’t been some outstanding successes. A few of the movies have even turned out better than the author’s original work. 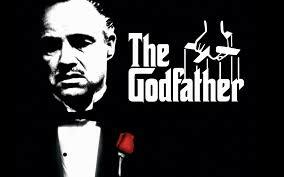 One that comes to mind is The Godfather. Francis Ford Coppola transformed Mario Puzo’s mafia potboiler into a classic tale that grabs me every time I see it. Another film that improved upon the original is The Shawshank Redemption, based on Stephen King’s novella, Rita Hayworth and the Shawshank Redemption. While King’s story was well crafted and intriguing, it was pretty much a straightforward tale of banker Andy Dufresne’s imprisonment for a double murder he didn’t commit, and how prison changed him and he in turn changed the other prisoners. 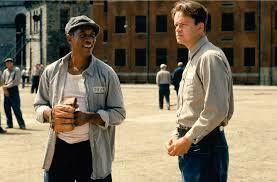 Of course, there was the escape from Shawshank prison using his little rock hammer. Writer/director Frank Darabont (who also did a masterful job adapting The Green Mile, another King prison story) added his own twists to Shawshank, and made it one of the most frequently televised movies on cable year after year, and another film I never tire of watching. A few other good film adaptions come to mind, including The Fight Club and No Country for Old Men. On the negative side I’d point to the newest version of The Great Gatsby and The DaVinci Code as stinkers. Television has had some recent successes adapting books. Several I particularly like include Dexter, Game of Thrones, Justified, and Sherlock. I can think of a few more books that would make great movies, including a thriller set in the little town of Cedar Key. I think it was called Hurricane Island. Hmm, do you know any Hollywood producers? Anyway, you’ve read my list of hits and misses, what are some of yours?